The full slate of fights for the historic Bellator 200 event on Friday, May 25 are complete. In all, 18 bouts will feature at The SSE Arena, Wembley in London. The stacked main card includes a Bellator middleweight title matchup pitting current champ Rafael Carvalho (15-1) against Gegard Mousasi (43-6-2), a rematch between heavyweight fan-favorites Mirko Cro Cop (36-11-2, 1 NC) and Roy Nelson (23-15), while former titleholder Phil Davis (18-4) takes on Linton Vassell (18-6) in a light heavyweight matchup and undefeated British striker Michael “Venom” Page (12-0) meets David Rickels (19-4, 2 NC) at welterweight. 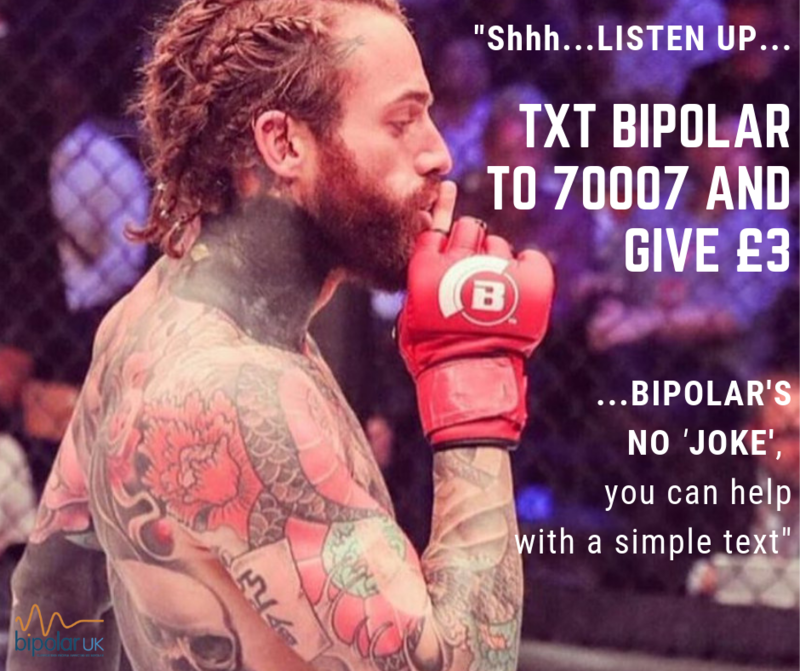 Rounding out the main card, reality star turned MMA fighter Aaron Chalmers (3-0) will make his promotional debut against Ash Griffiths (4-5). Prior to those five must-see fights on Paramount Network, Bellator 200 will also feature plenty of intriguing preliminary matchups showcasing many of the U.K.’s top young talent. On May 25, the undefeated Anastasia Yankova (5-0) returns against the always-tough Kate Jackson (9-3-1), Saul Rogers (12-2) will make his promotional debut against Jeremy Petley (12-8-), while a trio of former BAMMA champions are in action when former middleweight champion Mike Shipman (11-1) fights Carl Noon (7-2), former BAMMA featherweight kingpin Daniel Crawford (10-1) challenges Pedro Carvalho (6-3) and former BAMMA lightweight titlist Ryan Scope (11-1) faces Martyn Harris (4-4). 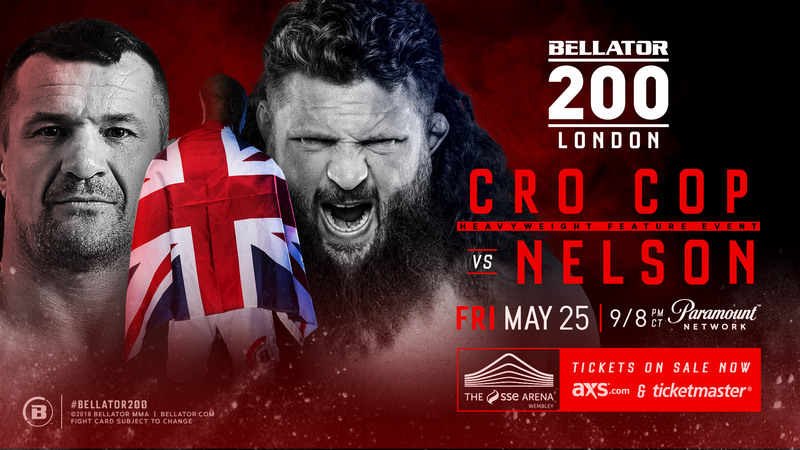 Rounding out the undercard of Bellator 200, fans will see Bellator veteran Anatoly Tokov (25-3) clash with Vladimir Filipovic (10-2), SBG Ireland-product Charlie Ward (4-3) in action against Louis King (1-1) and prospect Costello van Steenis (9-1) meeting Kevin Fryer (6-2). Tickets for the event are on sale now at The SSE Arena, Wembley box office (0844 815 0815), Ticketmaster.com, ssearena.co.uk and axs.com. Bellator 200 will be broadcast on Paramount Network at 9 p.m. ET/8 p.m. CT, while preliminary action will stream on Bellator.com and globally on the Bellator Mobile App.